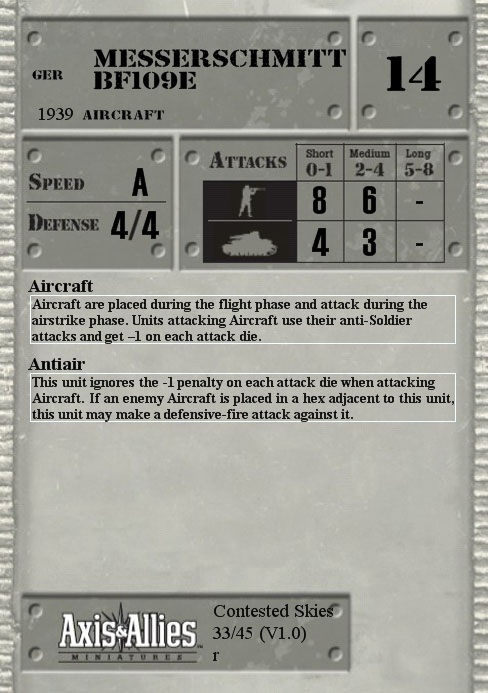 This unit ignores the -1 penalty on each attack die when attacking Aircraft. If an enemy Aircraft is placed in a hex adjacent to this unit, this unit may make a defensive-fire attack against it. Q: Can an artillery unit without the Antiair special ability attack Aircraft?